Google’s new mobile update, dubbed “Mobilegeddon” by internet marketers, has far-reaching implications for both your website’s SEO (search engine optimization) and your business. Mobilegeddon’s affects, which began in April of 2015, had a negative impact on the search result rankings of websites that are not mobile-friendly. However, for the long term, Google is making a clear statement that mobile devices and mobile search are becoming a critically important aspect of digital commerce and internet use in general. In the last few years, mobile device and tablet use has been skyrocketing to record numbers year over year. In 2014, statistics showed that the use of non-desktop devices, such as tablets and mobile phones, outnumber PC’s online. Although mobile devices have not yet surpassed desktops in the amount of searches on Google, smartphones are quickly approaching desktops in search. These days, nearly 90% of purchases for local goods and services are first researched online through search engines and more than 70% of business traffic is driven by search. Search is extremely important and valuable to businesses, and trends are moving towards mobile search as the primary digital mode of the future as more people use their phones and tablets to search for products, solutions, content and more. Consider how many times you’ve used your iPhone or Android device to search for a local restaurant or business in your city, or perhaps while you were in a store and searched for reviews or prices of a product you were thinking about buying. Google is highly aware of these trends and is constantly testing and analyzing user behavior to deliver higher quality results and a more user-friendly experience to Google searchers. They are always looking for ways to connect users with the most relevant search results possible while also providing a improved user experience across all devices. Responsive web design refers to websites that respond dynamically to the size of the web browser that they are displayed in. Websites that are responsive can change in a variety of ways by adjusting their visual elements including font, images, layout positioning, and relationships between elements in different ways on the fly without requiring the web browser to be refreshed. This can be easily be observed by adjusting the width of the browser window you are viewing. Common elemental changes in a website that is responsive include the morphing of menus into a button with 3 horizontal lines, the vertical stacking of images and layout elements that were previously in rows, and the adjustment or removal of large elements in order for them to still fit on the webpage. All in Web Pro is a leader in Las Vegas web design, graphic design, and custom web development that is focused on building mobile-friendly websites & web applications. We can update your website to make sure it is Mobilegeddon compatible so that your search engine rankings and business achieve the best results possible. Our web design services utilize responsive web designs that are mobile-friendly and will optimize your website across any mobile device and browser viewport on phone or tablet. As the web has evolved, so has All in Web Pro. Our role in helping businesses increase their search engine visibility and provide excellent user experiences to their customers through the most modern web design practices, has helped make Las Vegas based All in Web Pro a leading provider of web design, graphic design, and online brand consulting & marketing. The aesthetics of a website have never been as vital as they are today. Whether you’re building your website for yourself or a client, it has become crucial that you stay updated with current web design trends and market demands. However, it’s undoubtedly difficult to keep up with the pace of the internet and the ever-changing trends in web design. Web designers know that the key to a successful web design is understanding the principles of design in addition to the expectations of your target audience and leveraging them towards your specific online conversion goals while balancing these needs with your unique budget and timeline. If you take these things into consideration, you'll be able to influence your visitor’s behavior and drive traffic to your website. In this article, we’ll outline 5 design tips for building your website. Researching other websites in your target market will help you guarantee your design is up to date on current trends and that it's in a style that your visitors will relate to. Analyze your competitor’s websites and take notes on their features that interest you in addition to those that don’t. Using these notes while designing your site will help you deliver a captivating and effective design that’s current to your industry. It’s a good idea to make use of design elements that your visitors will recognize, the most obvious are a navigation bar, header, footer, etc. This will help make certain your users can navigate your website without getting confused and will help build trust and reliability into your website. Using unfamiliar user interface elements might frustrate your users and cause them to leave your site. After all, the goal of your site is to drive your users towards a specific action, and you want it to be easy for them to quickly perform that action. Choosing a great font is a vital step in designing a captivating website. Make sure you select a font that's legible enough to make your content very easy to read while matching the style and feeling you want your brand to convey. Mobile users are ever increasing and make up a large portion of internet traffic. Moreover, search engine giant Google has announced they're giving precedence to mobile-friendly websites when performing searches from a mobile device. This makes it very important for websites to embrace a mobile-friendly design so that they're accessible to the largest audience possible. You can test to see if your website is mobile friendly according to Google using their Mobile Friendly Test page. Color is an important aspect to any web design. Effective use of color will help you engage your visitors and encourage them to interact with your site. Because of this, it’s essential to choose your colors carefully and ensure they're appropriate to your website. Each color has a deep meaning behind it and conveys an emotion to the viewer. Although individuals may differ in their perceptions of color, you must understand what message you wish to convey with your website before you start selecting colors. For example, all colors convey meaning. And having an overall black theme and background to your website may subconsciously convey a feeling of mystery or danger that might not align with a company that wants users to feel they are open, safe, and transparent. Web design is constantly changing and new fads and trends will continue to pop up and fade out. Yet it’s essential to stay up to date with current trends to avoid having an outdated website, especially if there are opportunities to improve the experience of your users and take advantage of opportunities to gain more visibility in search engines. The tips we’ve covered in this article will help you think about things to consider when envisioning a new a captivating web design for your brand. 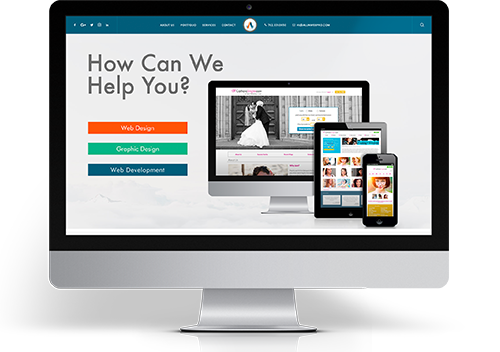 If you’re looking to have a website professionally designed by web designers who understand current web design trends, look no further than All in Web Pro. We are a leading Las Vegas web design company, and we’ll make sure that you’re delivered a professional web design solution that will engage your audience, showcase the best you have to offer, and drive your visitors to take the actions you desire to convert to sales and growth.